“Dogs are completely and innocently selfish.” ~Jean Donaldson, The Culture Clash. As such, there is much we can learn from them. 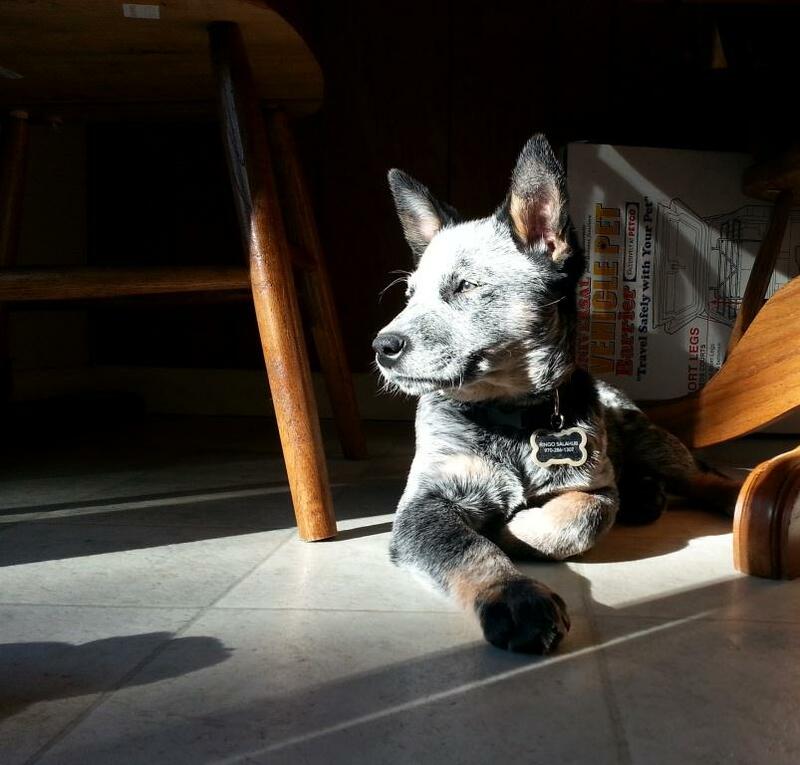 This entry was posted in Day of Rest, Ringo Blue and tagged Day of Rest, Ringo Blue on February 16, 2014 by jillsalahub. Wonderful pic 🙂 Does he stay still for long? This is highly unusual, Misty. He had a play date today with one of his litter mates, so was in the car for two hours and played for two hours and has been extra mellow the rest of the day. Ringo has such a “regal” profile in this picture! Very handsome dog and “full of beans” too! I always look forward to seeing your snapshots of him. I love this one because I can totally see what he’ll look like as an older dog.